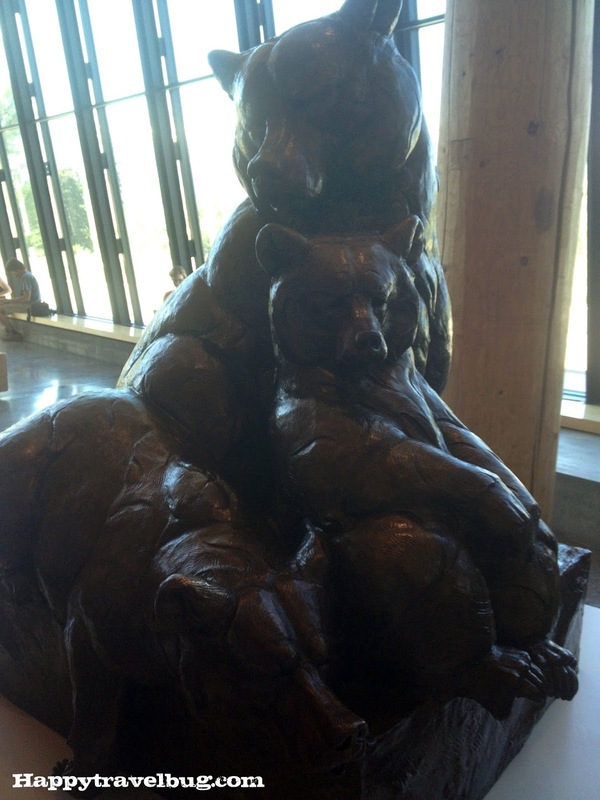 The Craig Thomas Discovery and Visitor Center was our last stop in Grand Teton National Park. 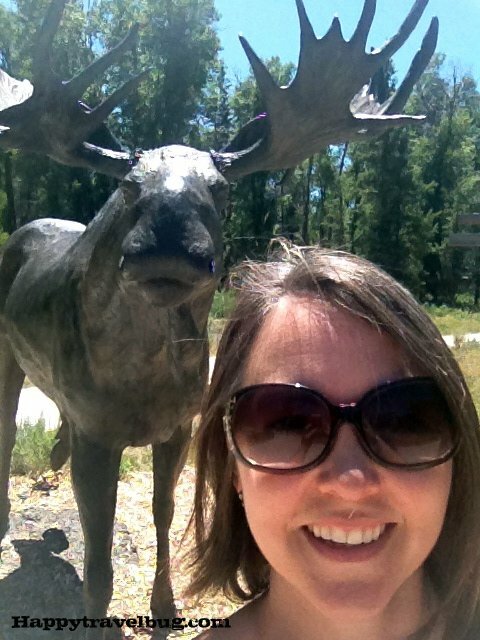 I snapped a quick pic of me with the moose out front (that makes me think of the movie Vacation…moose out front shoulda told ya). ANYWAY, it is, by far, the best visitor center in the park. Highly recommend stopping there. We looked at all the exhibits and watched the movie. They also have a great gift shop if you are a shopper. The only thing I wish they had that they didn’t was food. Oh well, you can’t have everything. Not only did I like what they had inside the center, but the outside of the building itself was pretty incredible. It is a fairly new center, built in 2007 for $21.6 million, so that explains a lot! Wish I had taken more pictures for you, but here is what I have. Enjoy! 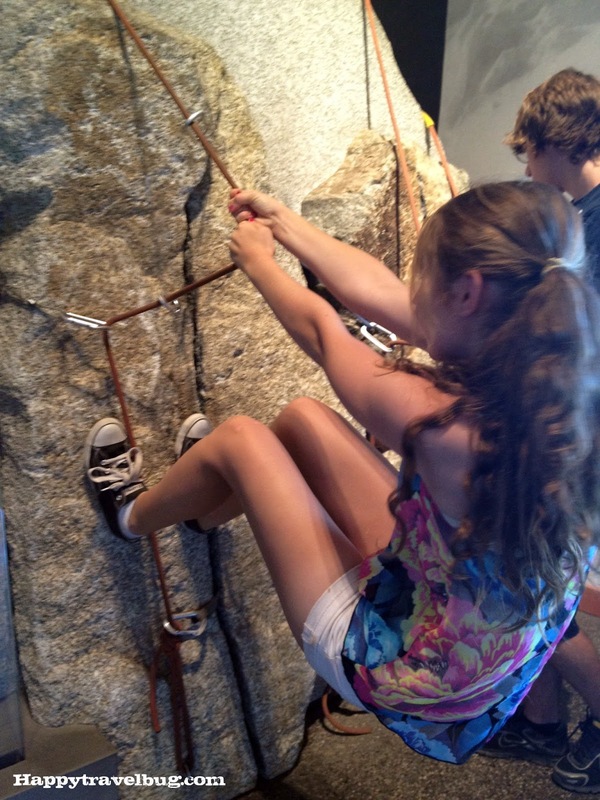 The exhibits came with great sculptures and interesting information about the history of the area. If you visit Grand Teton National Park the Craig Thomas Discovery & Visitor Center should definitely be one of your stops. This looks like an awesome visitor's center. Love all the statues they have for everyone to pose with. We missed this during our visit to the Tetons. It really was a good one. Very nice compared to the other ones. Wow! I can't believe that is a visitor's center! I'm used to gray buildings with a lot of pamphlets! That looks like such a fun place to stop!